If this is something you’ve said to yourself, you’re not alone; in fact, we hear this on a regular basis. 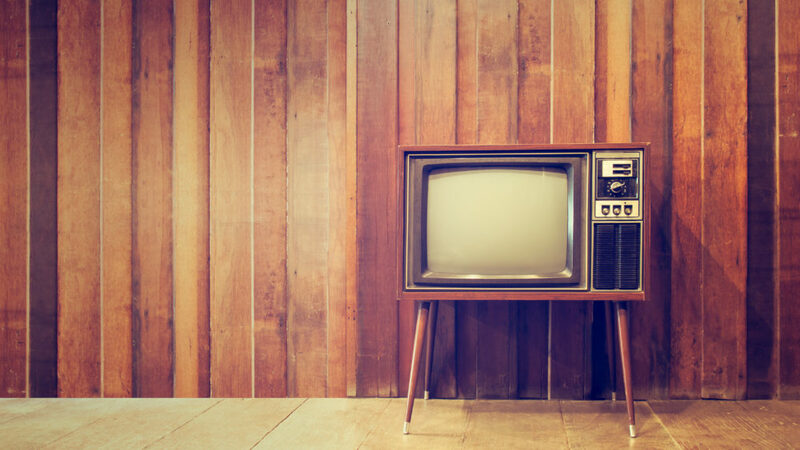 What that tells us is that smart business owners and marketing directors, like you, are challenging the notion that traditional TV, radio, and print media are the best solution for their evolving marketing needs – and they’re right! The simple fact is that digital media is growing because it’s a more effective and affordable way to reach your audience. A recent study by Profitworks illustrates that point very clearly by calculating return on investment (ROI) for various advertising media. 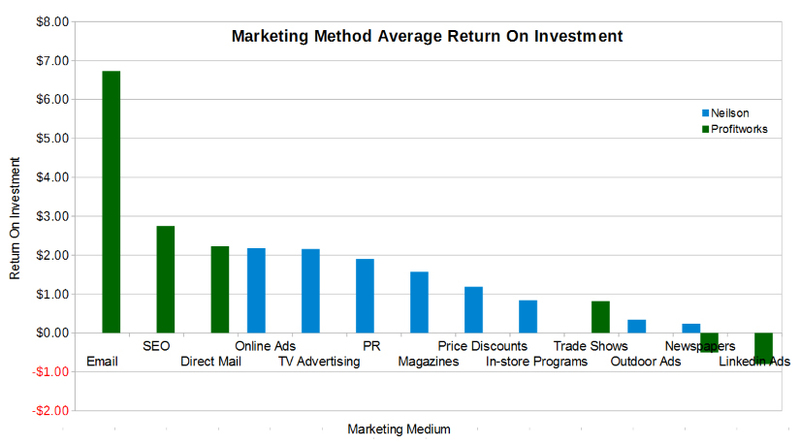 According to their research, email marketing, SEO, and direct mail offer the best ROI. Online ads (like ads on Facebook or the Google Display Network) came in a close 4th place. You can read more about their findings here, but the numbers show that, by-and-large, digital media will provide the best bang for your buck. General geography – It’s very common to reach a specific part of your state or even a specific City, County, or zipcode. Advertising on your local news, for example, will allow you to tap into your local market. 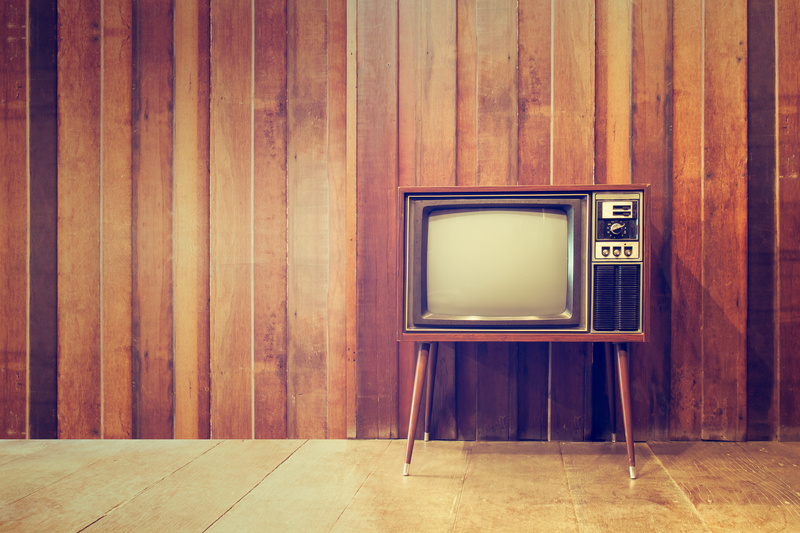 Daypart – We know that seniors watch daytime TV, so if you’re around to watch it, you’ll see a ton of ads geared towards them. This is daypart targeting at work! General demographic – We also know that specific demos watch certain programs. For example ESPN trends toward male audiences and, true to their tagline “Television for Women”, Lifetime has more female viewers. Advanced geo-targeting – With digital media, you can draw a border around specific neighborhoods or even a radius around your business depending on your targeting needs. It’s pretty impressive stuff! Exact demo info – General trends are one thing, but with digital you can often times specify the exact age, gender, income, and more of who sees your ads. Explicit expressed interest – Whether your audience is dog-lovers, homebuyers, or women searching for red sequin shoes, you can identify those people online and market directly to them and only them. Have you ever been on a company’s website and then started seeing ads for their products and services? If so, you’ve been re-targeted! This digital marketing method shows your ads to those who have recently visited your website or landing page. It’s a great way to reach prospects who have already expressed an interest in your products and/or services. In traditional media you put your best foot forward based on what you know in regards to messaging. And often times those messages contain the things that we want our audience to know. In contrast, with digital marketing, we can utilize A/B testing and test multiple relevant messages/images and our audience can tell us what they respond to and we can plan our marketing messaging accordingly. You don’t have to repeat a phone number on a website multiple times during an ad, with digital ads your customers can click through immediately to visit your website, make a phone call, sign up for your email list, or even get a quote. All of this said, traditional media may still have its place in your marketing plan, but marketers are shifting higher and higher percentages of their budgets to digital media because it garners measurable, meaningful results. It’s not a trend, they’re doing it because it works! Whether you’re looking to diversify your marketing or spend your money more wisely, the basic principles of marketing still apply to your digital marketing efforts – and that is to get the right message, to the right audience, at the right time. Digital just does it better. If you’re interested in learning more, we always provide free consults at Hookd. It doesn’t matter if you’re a first timer or if you’re an experienced digital marketer, all it takes is a quick email to get the ball rolling. Just send us a quick message at info@hookdpromotions.com and we’ll help you identify what next steps are right for you!